Light & Darkness Radio: Featured Today! "Black Sun Aeon, Candlemass..."
Epicus Doomicus Metallicus!! \m/ L&DR is growing really fast and is all Thanks to you! Don't forget to Suggest L&DR to all your friends and future Metalheads! I'm keeping this short since I still need to add more bands/albums to the ever-growing Library so Here's today Featured bands! Black Sun Aeon (FI) - The year 2008 started aeon of the black sun when the founder and sole member Tuomas Saukkonen decided to start a solo career beside the continuing leadership of Before The Dawn and The Final Harvest. The debut album “The Darkness Walks Beside Me” followed soon in the beginning of 2009 and was praised by critics and fans of majestic, melodic doom metal with death metal twist. Few very carefully selected gigs were also played with session members and BLACK SUN AEON shared the stage with bands like Samael and did a powerful festival debut at Summer Breeze festivals. What many thought to be a simple side project and one time release has become a solid one man band and a sharpest blade in the musical armory of Tuomas Saukkonen. Multi instrumental and highly productive “one man army” has also been recognized by Finnish metal fans since Tuomas was voted as 2# in musician of the year category in Finnish Metal Awards and new BLACK SUN AEON will only underline the strenght in songwriting, musicianship, production and vision when double album -ROUTA- is released in 1.4.2010. A massive theme album about cruel but beautiful Finnish winter including 2 albums in total lenght of 80mins. Candlemass (SE) - After the breakup of his first band Nemesis, bassist Leif Edling started his own band under the name Candlemass with vocalist Johan Längqvist, guitarist Mats Mappe Bjorkman, and drummer Matz Ekström. Their first release, Epicus Doomicus Metallicus (1986), immediately secured their standing, positioning the band within metal circles, setting a milestone in the doom metal scene. Längqvist only recorded that one album with Candlemass, however. His successor as frontman, Messiah Marcolin, joined the band for their second effort, Nightfall, in 1987. Two other new members appeared on this album: lead guitarist Lars Johansson and drummer Jan Lindh. Candlemass's next two albums were Ancient Dreams (1988) and Tales of Creation (1989). In 1990, the band released a live album. Shortly afterward, a dispute between the band members resulted in Messiah Marcolin's departure. After Marcolin left, Candlemass recruited vocalist Thomas Vikström and recorded Chapter VI (1992). The band then toured in support of that album. 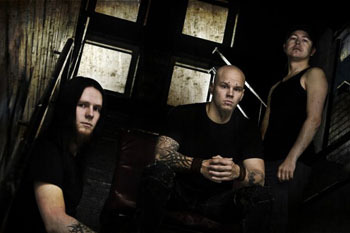 By 1994, Candlemass had called it quits, partly because Chapter VI was unsuccessful and partially because Edling had formed another project under the name of Abstrakt Algebra. With Abstrakt Algebra not doing well, Leif suddenly recruited a new line-up under the name of Candlemass and recorded the album Dactylis Glomerata, which was a combination of songs for a new Abstrakt Algebra CD and some new material. A year later the album From the 13th Sun was released. In 2002, the members of a past Candlemass line-up reunited. They performed some well-received live shows and released another live album. Other albums released by the reformed band were remastered versions of Epicus Doomicus Metallicus, Nightfall, Ancient Dreams, and Tales of Creation. A DVD called Documents of Doom was released as well. 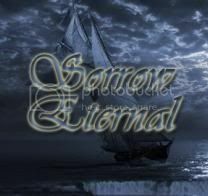 The band was working on a new album and recorded some new songs while searching for a record label when differences arose again, resulting in Candlemass disbanding a second time. In the meantime, Leif Edling started a new project, Krux, with former Abstrakt Algebra singer Mats Leven and two members of Entombed. In November 2004, the band announced that they had re-united for the second time. They had recorded a new album, named simply Candlemass, with the same line-up. It was released in May 2005. They won a Swedish Grammy for it in 2005. In 2006 the band announced that a new album was in preparation, to be released sometime in 2007. In October 2006, after much uncertainty regarding Messiah Marcolin's participation, it was settled that Messiah was out for good. 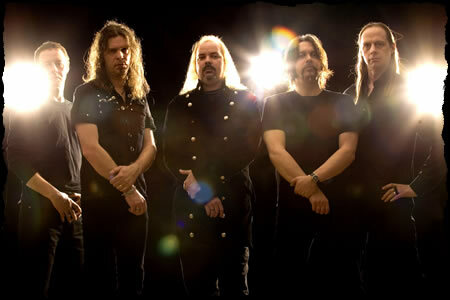 Candlemass found a new vocalist, Robert Lowe (Solitude Aeturnus), who recorded with the band's ninth album King of the Grey Islands, which was released on June 22, 2007. The album is self-produced except for four songs produced by Andy Sneap. On March 31, 2007, Candlemass celebrated a slightly delayed twentieth anniversary. To commemorate the celebration, original singer Johan Längqvist appeared live with the band for the first time. The event was recorded and later released as a DVD. Mats "Mappe" Bjorkman was sentenced to serve two years behind bars for grand theft in March 2008. He has been convicted of stealing over 35,000 CDs and DVDs priced at around 3 million Sek (Around $500,000). Candlemass worked on a tenth studio album in 2008. It was intended to be titled Hammer of Doom, but they renamed it to Death Magic Doom because the name coincided with a German festival. The album was scheduled to be released on March 27, 2009, but it was delayed until April the 3rd 2009. In 2009, bassist Leif Edling told Soundshock that work on the next Candlemass album would likely begin before 2011. However, this plan fell through, and Leif has stated that the album's release date will be pushed back to 2012, in order for the band concentrate on the 25th anniversary of their 1986 debut Epicus Doomicus Metallicus.